A new partnership with Mazda announced Wednesday will help CCC-using body shops alert customers to vehicles which still need a Takata airbag recall. 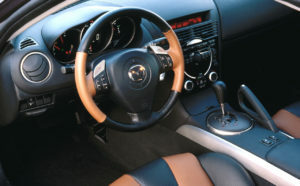 The March incorporation of the Mazda information causes CCC ONE to flag a particular vehicle as recalled but unrepaired. The body shop can bring up the issue to a customer, hand them a copy of Mazda’s instructions and remind them a dealership will fix the airbag assembly issue for free. The shop looks like an automotive genius who cares about the vehicle owner’s well-being. CCC increases its value to both the OEM and repairer. Mazda gets a potentially unsafe vehicle off the road and helps out a customer it might not have otherwise connected with. Mazda in 2017 announced a similar partnership with Mitchell. CCC estimates that about 24,000 repairers see about 24 million vehicles a year, making it a good bet for Mazda and other OEMs that some of their vehicles under recall will appear before a CCC user. The Takata airbags themselves are fine, but their associated inflators have a “propensity to rupture,” according to the National Highway Traffic Safety Administration. A mix of moisture, temperature and time can affect the propellant in a recalled Takata inflator, burning it so quickly it ruptures and blasts shrapnel at occupants. In Mazda, the Takata airbag recall involves the 2004-09 B-Series, 2003-12 Mazda6, 2006-07 MazdaSpeed6, 2004-06 MPV, 2004-11 RX-8, 2007-12 CX-7, 2007-12 CX-9. The information provider had already announced CCC Recall deals with FCA and Honda. “We are working with and talking to other manufacturers to assist them in their recall efforts,” Kinsherf said in a statement. Mazda’s CCC effort is restricted to the Takata airbag assembly-equipped vehicles, according to Kinsherf. However, shops have relatively easy ways of IDing other Mazda recalls and notifying customers. Most, if not all, OEMs have their own recall website allowing users to input VINs; here’s Mazda’s. Or just use the National Highway Traffic Safety Administration VIN recall lookup.